Do you have a library of cookbooks and yet feel that you need more? Maybe this will help explain why you feel that way. Before you buy another cookbook, here's a little test to help you determine which books will really be useful to you once you get them home. And you can do this right in the bookstore. Take a book that looks interesting to you and single out one recipe. Read that one recipe all the way through. Then, look at the list of ingredients. Are most of the ingredients familiar to you or will you have to spend alot of money purchasing everything the recipe calls for? 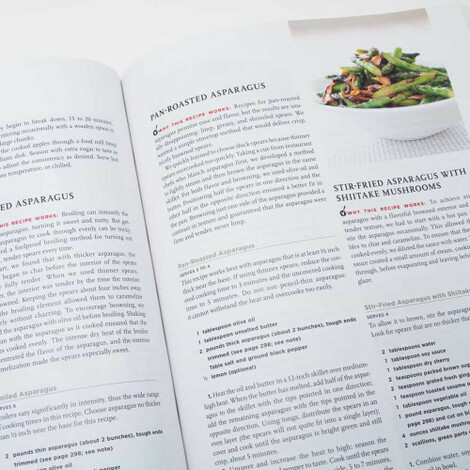 If reading the recipe feels awkward to you in any way – maybe calling for ingredients that are unfamiliar or perhaps if it’s just hard to understand and feels like another language and disjointed, put the book down. Chances are it’ll be a dust collector when it reaches your home. If you make it through the first read go back and read the recipe a second time. This time, when you’re reading try to visualize the steps involved. Does the recipe make sense to you? Does it seem logical in what it tells you to do? If you have a hard time following what they’re asking you to do, watch out. That’s a yellow flag. A recipe book is like a novel. There will be authors we like and others we don’t care for. So if you’re having a tough time understanding what it is you’re supposed to do, look for another book with a different format. There is certainly plenty to choose from. If you go through all these steps and you’re still excited about a book, buy it and add it to your collection of frequently used cookbooks.